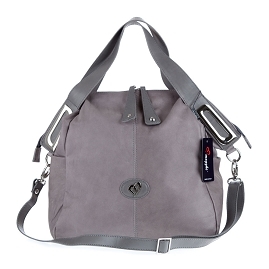 L'Artisan company "Megghi" has been producing and distributing leather handbags since 1985. "Megghi" products reflect elegance, practicality, functionality, comfort, durability and latest Italian fashion trends.Quality of leather and suede materials and traditional craftsmanship of Italian artisans - these are the main characteristics of "Megghi's" products. All practical and fashionable "Megghi" bags are entirely hand-made at the company's facilities in Torento, Italy by highly qualified staff of artisans with more than twenty five years of experience.Every single product is carefully created with a great attention to details in order to meet your expectations and to provide the best value for your money.We are Direct Importer of "Megghi" and number of other "designer lines" from Europe. There are absolutely NO "middlemen" between this Italian original designer/manufacturer and us.You will not find these bags in stores in the USA, because they are produced in limited quantities.